The Diva's Weekly Challenge #142: "Comfort/Danger Zone"
Ok, so we are to step away from tangling for comfort but test our pens and pencils at something that we pass over and say 'I'll do that later, it looks to difficult'. I have a feeling we might see many black tiles with this challenge. I have had a new pack of blank black tiles hidden in my box for this very occasion. 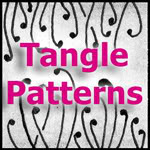 A couple of tangles that I have been wanting to try are snugz by Terri Brown and cruze by Caren Mlot. 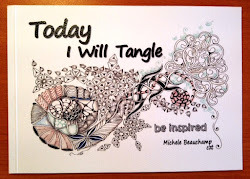 Oh, both these tangles are fabulous, not as tricky as they look and such fun. Thanks Laura for urging me to open the pack of black tiles. Joshua and Nan's wedding ceremony was held in The Launceston City Park. We enjoyed a fantastic sparkly and sunny day with laughs, tears and many hugs. Beautiful tile Shelly. I am encouraged to bring out my black tiles and overcome the discomfort I may be harboring within. And Congratulations again to Joshua and his lovely wife. Yep, you have definitely made Cruze a gorgeous tangle! Beautiful tile. 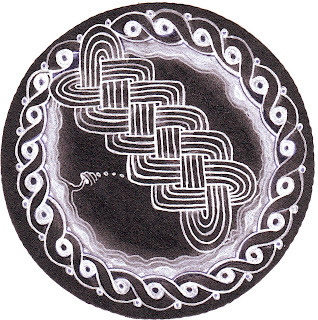 I also have not done anything on a blank black zendala tile. Maybe I was too programmed to think of templates. I like your shading and solo Zinger protruding into the black. Seeing this I am curious what the difference is between Snugs and Anne. Will have to look at them more closely. I like this tile, I love the Zinger breaking the balance. You must be proud of the couple at the photo, congratulations! So very pretty! I've been putting off trying snugz & cruze as well. I'm going to have to try them now, but I'm pretty certain they wont turn out anywhere near as beautiful as yours did on this tile! Congratulations with yor sons marriage. A beautifull couple! I sent you and ofcourse them all my best wishes for a very happy life together! Your tile looks great, witg great patterns! I never thought that I would like to draw on these black tiles, but when we did one on the CZT XII I just had to buy some black ones too, they are just great to work with. Youre tile is a great example of the 'Black Beauty'. This tile is beautiful!! Really a "Black Beauty"! Best wishes to you and the "just married" couple! 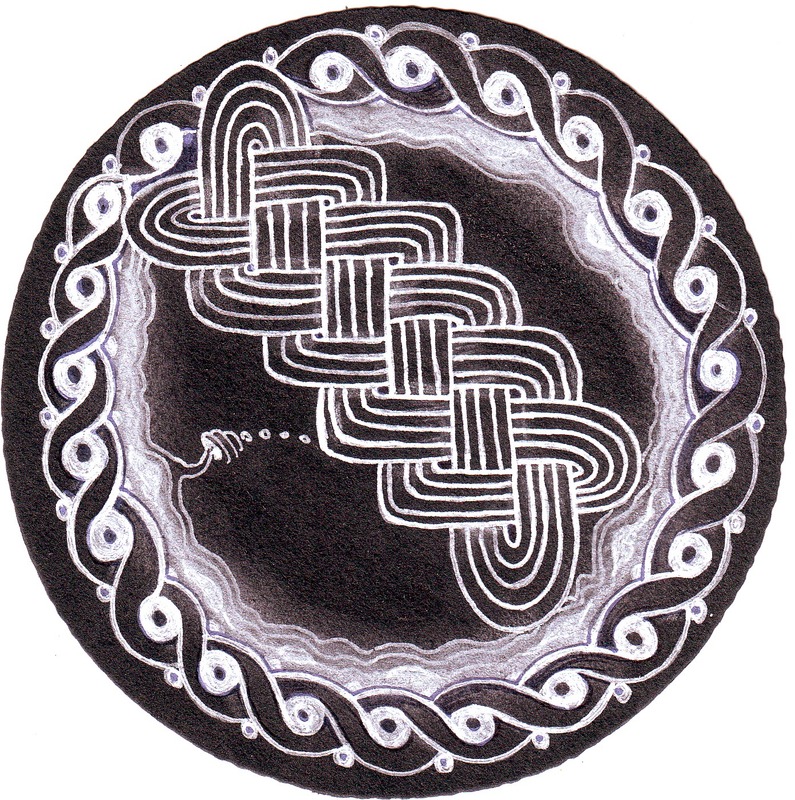 You have done so well with your tile with two difficult tangles. Love the picture of the happy couple.